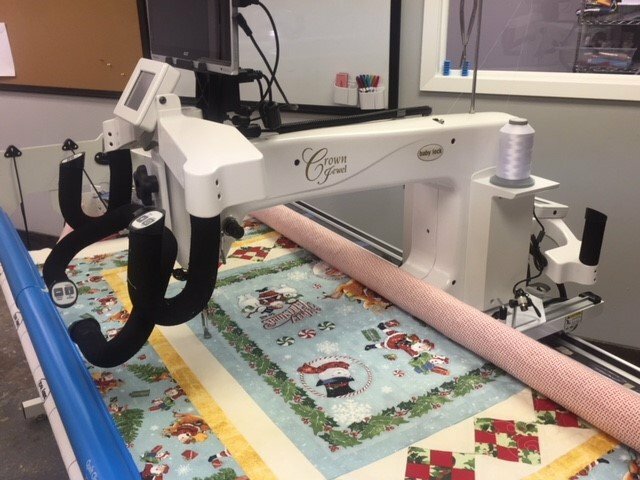 Once you’ve taken the Longarm Certification Class, we invite you to rent one of our Baby Lock Crown Jewel longarm machines by the hour to turn those beautiful quilt tops into beautiful quilts! Longarm quilting machine rental allows you to make your quilt completely from start to finish! Other benefits include learning new techniques, and achieving continual improvement and increased satisfaction. 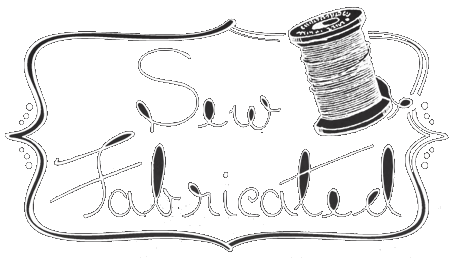 The Sew Fabricated crew looks forward to partnering with you in your exciting longarm journey! Machine rental is by appointment only and renters must reserve a machine in advance of their quilting date. A non-refundable $40 reservation fee is required and will be applied to the first two hours of your rental session. If you are unable to make your scheduled appointment, we ask for 48 hours’ notice. Cancellations that meet this criterion will have a refund issued in the form of a store credit. Standard rental days include Tuesday, Thursday, and Saturday. Please see available dates on the website. Friday may be open for rentals. Please call for Sew Fabricated for availability. The machines rent for $20 per hour with a two-hour minimum. Charges begin at the time of the reservation. We recommend that customers arrive early enough to pick out patterns, etc. before the rental time starts. Use of a Baby Lock Crown Jewel long arm machine which will be cleaned, oiled, and ready for rental, including one machine needle already installed. Use of a cutting table to square-up batting and backing prior to quilting or to trim a quilt after it has been quilted. Please bring your own scissors/rotary cutters. A Quilting Kit will be provided to you for use during your rental period. We will ask you to verify and initial with a shop steward that all items are in the kit at the beginning of the rental period and again at the end of the rental period. The kit will contain a small screw driver, lint brush, magnetic pin dish, and machine feet. Use of a bobbin winder. Needles & Thread: To insure proper operation of our machines, we require the use of Groz-Beckert needles and Glide® thread. We stock needles and a large variety of colors of thread for purchase. Colors not on hand can be ordered. We require that needles be purchased from Sew Fabricated. Bobbins: M-Class bobbins are used in our machines. Empty bobbins can be purchased for $2.99 each and prewound Glide bobbins are also available for purchase. Backing fabric and batting: We carry an extensive selection of fabric that can be used for backing, 108” wide backs, and several types of batting; or you may bring your own. Snips, scissors, pins, seam rippers, and tape measures. Note: Quilt tops may be no wider than 90”. Backing and batting may be no wider than 100”. Requirements: Each renter is required to take the Sew Fabricated Longarm Certification class. Machine rental is by appointment only and renters must reserve a machine in advance of their quilting date. A non-refundable $40 reservation fee is required and will be applied to your rental session. If you are unable to make your scheduled appointment, we ask for 48 hours' notice. Cancellations that meet this criterion will have a refund issued in the form of a store credit. Please turn off all cell phones during rental times in consideration of other renters. All food and beverages MUST be kept in the dining area. Instructor Bio: We do expect that the first time you rent after the certification class you may need some help. We don't charge a mentor fee for your first time. After that, you need to pay the mentor fee of $15 if you still need more than a gentle suggestion. Anyone may request a mentor at any time. A mentor does not pin up, or do more than provide instruction. If it has been more than six months since you have taken the longarm certification class or rented the machine, you will be required to pay the mentor fee of $30 for the first two hours of machine rental for mentor assistance to help reacquaint you with the procedures of longarm machine quilting. If it has been more than one year since you have taken the longarm certification class or rented the machine, you will be required to take the certification class again.